Mahindra's Thar off road SUV to be sent off with a special edition model & ABS! Mahindra to send off current Thar with a special edition model & ABS! Mahindra can no longer sell the current version of the Thar in India. The Bharat New Vehicle Safety Assessment Program (BNVSAP) norms have kicked in from the 1st of April 2019, which means that the Thar cannot be registered in any state of India in its current form. To exhaust leftover stock of the Thar before the all-new, 2020 Mahindra Thar arrives in India, the automaker is coming up with a special edition version of the current off-roader. According to ACI, the special edition version of the current Mahindra Thar will get ABS, a life saving feature that improves braking safety tremendously. What remains to be seen is whether a driver airbag, reverse parking sensors and speed alerts – essential features under the BNVSAP regime – will also be integrated in the special edition Thar. 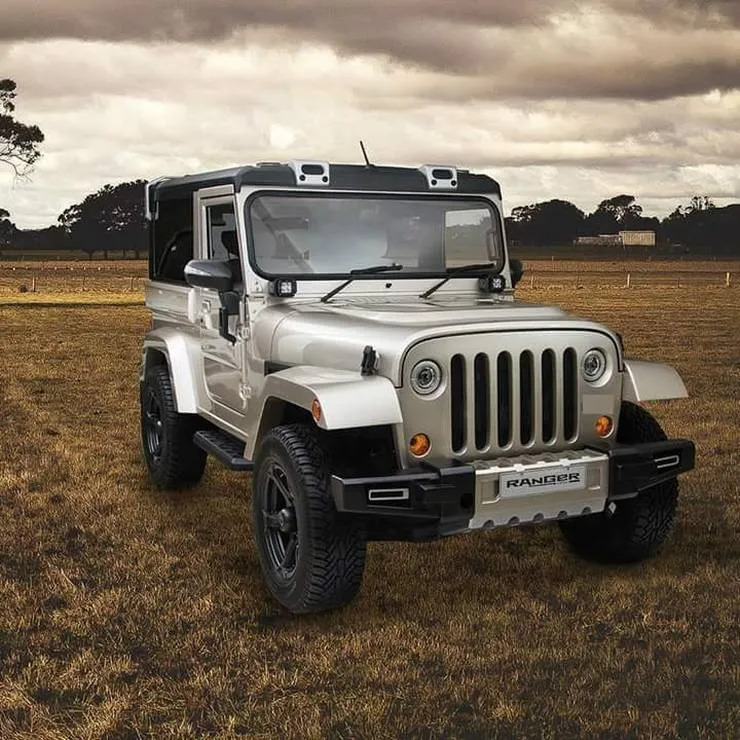 Apart from the inclusion of ABS, the special edition of the Mahindra Thar is also expected to get a set of decals, slightly revised interiors with new features and alloy wheels. The 2.5 liter CRDe turbocharged diesel engine with 105 Bhp-247 Nm will continue unchanged, along with a 5 speed manual gearbox and a rear wheel drive layout. A part-time four wheel drive transfer case will also be carried over unchanged. The current Thar sells at Rs. 9.49 lakhs, ex-showroom Delhi, and the off-roader’s special edition version is expected to be about Rs. 50,000 pricier. The Mahindra Thar DI will be discontinued and it remains to be seen if the next generation model will also get a workhorse edition. There is a strong likelihood of this happening as the current Thar DI has outsold the CRDe version many times over. The utility version of the next-generation Thar is expected to share the newly developed, 2 liter turbocharged diesel engine with the lifestyle model, but in a much lower state of tune. A lower state of tune means greater longevity of most components and better fuel efficiency as well – two important things that utility vehicle buyers seeking to replace the Thar DI will be looking forward to. Like the lifestyle-oriented 4X4, more powerful version of the 2020 Thar, the utility iteration of the vehicle is expected to get at least a driver airbag, ABS, reverse parking sensors and other basic safety features to make it BNVSAP compliant. On the inside though, expect it to be spartan save for a power steering and basic heater function. The interiors are also expected to be hard wearing and basic, and this goes for the seats as well. More details about the 2020 Thar will surface in the coming months. Stay tuned.